Electric cars are great for the environment but not for your monthly car payment. With gas prices skyrocketing again, the strain on our pocket books is noticeable. 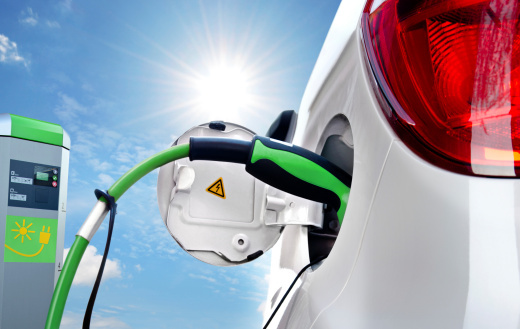 More and more people have been looking at electric cars as a way to save money at the gas pump. Prices must decrease. Right now, the cost of buying an electric car is more than owning a regular one. In order for more people to drive electric cars, they have to be able to afford one comfortably right off the lot. Driving range must increase. Normal usage of your electric car can get you anywhere from 150 to 300 miles on a full charge, but it takes anywhere from 15 to 45 minutes to power up. For that kind of time spent charging, many people feel like the lost time outweighs the savings of owning an electric car. Charging stations must increase. Right now, only a limited amount of battery charging stations exist, with only 11 public ones across the entire state of New Mexico. They need to be more accessible and convenient for more people to want to buy electric cars. If these cars become more practical and accessible to more people, it could mark a huge change in the way we get around. More people switching to electric cars would mean fewer emissions and less dependence on oil. At MVD Express, we want our customers to get the latest information about new developments in the way people drive. We’ll keep an eye out for more news.